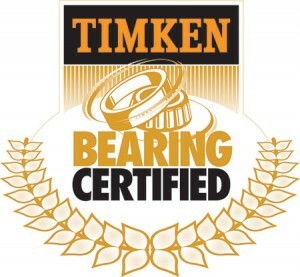 Hudson Pump & Equipment in Lakeland, Florida is a 2016 – 2018 Timken Bearing Certified facility. After an extensive audit of our process and equipment which included additional training, we are proud to achieve the Timken Bearing Certified Shop “Silver” Level for 2016-2018. The certification process was done in conjuction with other bearing maintenance programs and involved an intense pre-audit by a Timken engineer, followed by personnel training and a post-audit process. The rigorous evaluation documented the quality of our processes and equipment that we have in place to store, remove, install and maintain bearings. This designation demonstrates to our customers that Hudson Pump & Equipment adheres to the highest standards in bearing service and reflects Hudson Pump’s continued commitment to providing excellent quality service and repair.